Look, we don’t want to throw around the word “paradise” lightly. But when you are talking about vacations filled with stunning beaches, beautiful tropical weather and a mellow mix of cultures, we’re not sure there is anything else you can call the Caribbean. From electric nightlife in the Dominican Republic to the laid-back vibes of Jamaica to the beauty of Aruba, there are so many things to do and so many amazing resorts to choose from. So book a vacation package to the Caribbean islands today and discover your paradise with CMTravelonline. 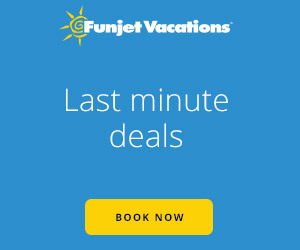 CMTravelonline.com offers only the best vacation destinations to choose from. Whether you’re looking for a romantic beach in the Caribbean or a family vacation to Costa Rica, our Travel Advisors will custom tailor your dream vacation to your specifications. Find out where to go and how to plan your trip with our Destination Guides! Get recommendations on sightseeing tours, attractions, restaurants, and hotels, and up-to-date weather, health tips, and general information for thousands of destinations. Explore our Destinations…..
Today, Antigua provides an ideal hideaway for vacationers looking for a sunny holiday in the Caribbean. Antigua and Barbuda together comprise the island nation of Antigua. The largest of the English-speaking Leeward Islands, Antigua is 14 miles long and 11 miles wide. Learn more about Antigua. The lovely island of Aruba lies just a few miles off the coast of Venezuela. With a warm, dry climate, powdery white sands and clear blue seas, this is a well-loved vacation destination. Learn More. In the Bahamas, discover a spectacular chain of hundreds of islands, each with its own distinctive charms and striking geography. There’s Paradise Island, where world-class resorts line vibrant beaches teeming with evening activities. Learn More….. Known as the Spice Isle, Grenada is home to several fragrant nutmeg plantations. Georgian-style architecture, colorful houses, and the impressive Fort George pepper the capital city of St. George. As if the natural wonders of the island weren’t enough cause for celebration, the islands also enjoy a festive “Spicemas” in August and sailing regattas and festivals throughout the year, attracting an international crowd of sailors, onlookers, and their first mates. Learn More about Grenada…..
Jamaica is an island gem in the middle of sparkling Caribbean seas, about 90 miles south of Cuba. Most of its resorts are clustered along the magnificent beaches of Montego Bay in the northwest. Learn More….. Occupying the eastern portion of the lush island of Hispaniola, the Dominican Republic vacation offers a vibrant travel destination whose endless charms bring the island’s admirers back to vacation time and again. The flawless beaches and sparkling cobalt waters of the Dominican Republic are nature’s gift to visitors on vacation. Learn More…..
Take a Mexico vacation and discover a fascinating mix of people, places, cultures and traditions. Our Mexico hotels provide luxury and are conveniently near attractions such as the Mayan ruins, zip-line canopy tours, and beautiful white-sand beaches. Learn More…..
Puerto Rico is the perfect blend of colonial Spanish culture, natural beauty and contemporary lifestyles. Visit historic Old San Juan and awe-inspiring rainforests. Learn More…..
Saint Lucia offers pristine rainforests, palm-fronted sandy beaches and majestic Piton Mountains, reminiscent of a Caribbean-style Bora Bora, overlooking stunning azure waters. This sun-drenched Caribbean island country provides the perfect backdrop for a romantic wedding or honeymoon; land and sea adventures; or a relaxing stroll on the beach. More Info…..
Turks and Caicos is an archipelago in the Caribbean south of the Bahamas, and north of Haiti and the Dominican Republic. This delightful British Overseas Territory boasts the third-largest coral reefs in the world surrounded by translucent turquoise seas and powdery, white-sand beaches. Learn More…..
Forgot to renew your passport? Don’t worry—here are several unforgettable, luxurious and fun-filled destinations where you don’t need one. Learn More….. Ever wondered which Caribbean Island offers the best beaches? We’ve put together our list of destinations that offers some of the best beaches in the world. Learn More…..
Book Exciting Things to Do worldwide With CMTravelonline! We offer over 5,500 sightseeing tours, attractions, special events and activities in over 400 destinations! We thank you for visiting us. Happy Traveling!! Plan Now…..